Qualcomm and the X Prize are offering money for a device that can spot diseases better than a doctor. Admit it: You’ve spent way too much time trying to match up your symptoms to an illness on the Internet, coming away only with the knowledge that either you’re going to be totally fine or maybe die tomorrow. But what if you could accurately diagnose yourself as well as a physician? That’s the ability the latest X Prize hopes to give you and, more importantly, hopes to give people around the world who don’t have access to doctors. 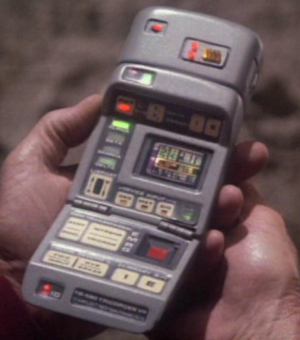 The just-announced $10 million Qualcomm Tricorder X Prize competition invites entrants to “develop a mobile solution that can diagnose patients better than or equal to a panel of board certified physicians.” It will be the medical equivalent of Deep Blue vs. Kasparov. The contest is named for the scanning devices from Star Trek and the prize is truly looking for something sci-fi. Entrants are expected to mash up wireless sensor technology, cloud computing, microfluidics, medical imaging, and artificial intelligence. Will it be as gloriously simple as peeing on your iPhone for a quick checkup? We can dream. This is just the latest challenge from the X Prize Foundation, which offers cash prizes for innovative solutions to big problems. The goal is to prompt innovation by offering boatloads of cash–though, by the end, many teams have spent more than the total prize money. The first X Prize brought us vehicles that can get to space easily and repeatedly; it’s where the germs of the Virgin Galactic spaceship came from. The winner of the automotive X Prize, the Edison2, has had less of an impact so far. This competition will be launched in early 2012, but details are still thin. If someone actually wins this thing, though, it could save us all from countless unpleasant trips to the doctor, and help diagnose illnesses in the parts of the world where there is no one to diagnose them.